Do you want to make a difference in your local community and support a dedicated youth organisation? 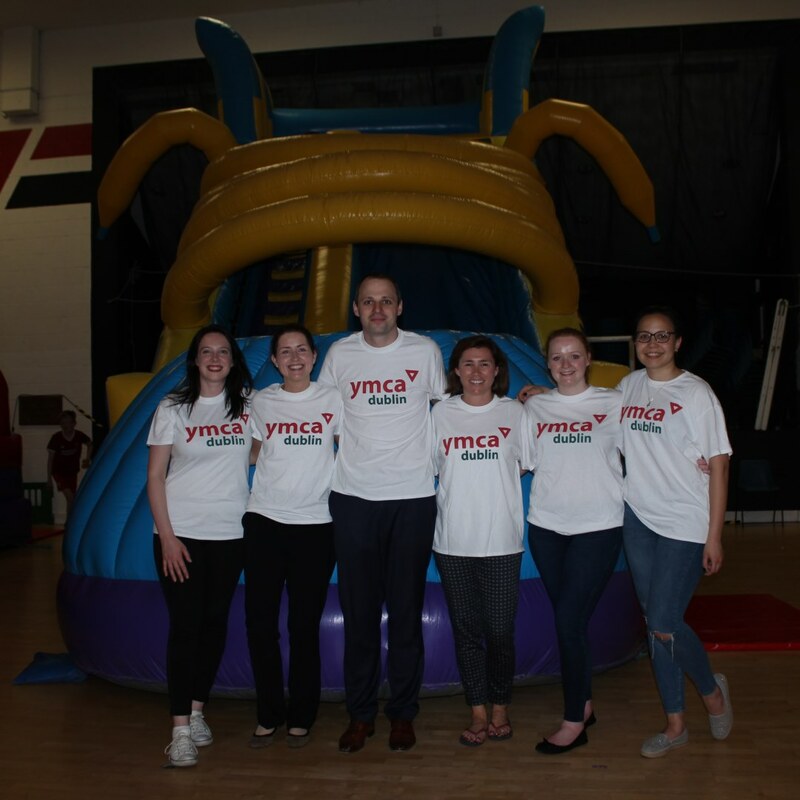 We’re looking for volunteers for exciting opportunities within YMCA Dublin and would love to hear from you! YMCA Dublin has been helping vulnerable young people in the Inner City since 1849. We work with young people of all ages, and our volunteers help us to make an impact on both their lives and the lives of their families. Would you like to make a difference in the life of a young person? We’re looking for volunteers for our PlusOne Mentoring Programme, which is 1:1 support with a young person through quality time and common interests/activities. Full training and support is provided. If you’re a good listener and want to help young people who need a secure positive influence in their life then this may be the perfect opportunity for you. Click here for more details. We want to make a difference to young people in 4th class primary school and above in our local community, and provide them with a safe space in which to hang out and socialise. If you are be interested in helping out with this programme we will provide training and support throughout. Our Youth Cafe currently runs two evenings a week and on Saturdays. Click here for more details. STEP provides the opportunity for young people to identify and overcome personal barriers to learning and employment. It does this by supporting the development of the skills, knowledge and attitudes needed for working life in an open, creative and inclusive learning environment. Click here for more details. This Christmas we will host our annual Christmas fundraiser selling beautiful real Christmas Trees. All profits will go to support our youth work, education and family support programmes. 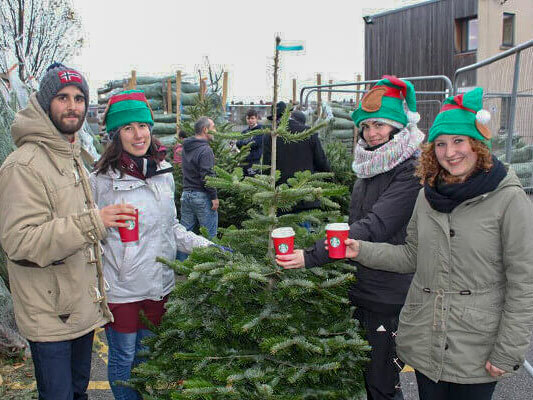 We are looking for volunteers to help us spread some Christmas cheer, and raise some much-needed funds by assisting us with this Christmas Tree Sale. This really is an excellent volunteer opportunity as it is a great way to get into the festive spirit in the run up to Christmas! 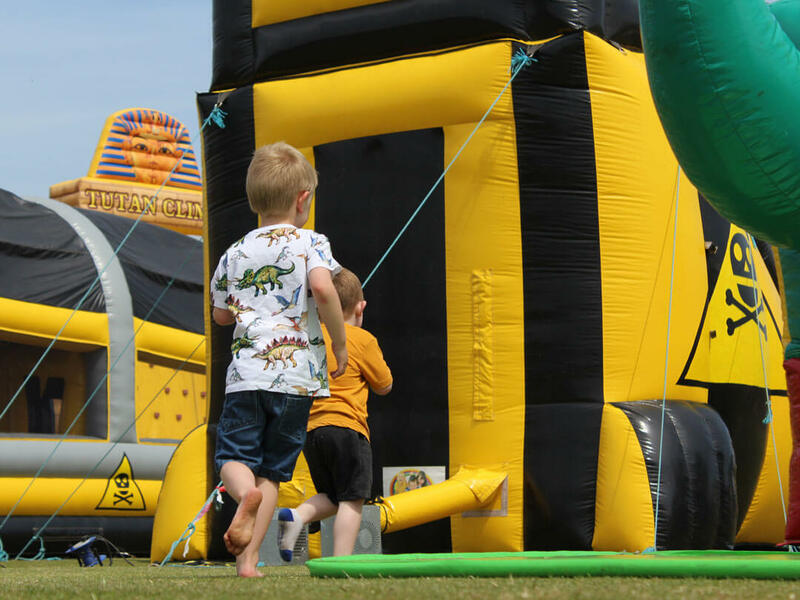 Join us at our Sandymount location for a day of bouncy castles, face painting, games and a BBQ. We are looking for volunteers to help us on the day to set up, facilitate throughout the day and tidy up in the evening. This one day event draws a big crowd every year from both YMCA Dublin and YMCA West Dublin. It happens one Saturday in June every year. If this is something you’d like to help at and enjoy please let us know. Contact info.dublin@ymca-ireland.net and our reception team will send your email to the designated department. We will then arrange an informal interview for you with the department co-ordinator. You’ll be asked to adhere to our policies and procedures and you’re good to go. Will I need to be Garda vetted? Yes. All volunteers 18 years or above are required to be Garda vetted before commencing any volunteering within YMCA Dublin. I’m under 18, can I still volunteer? Yes you can. We cater for Transition Year work experience and college students during term time. I can only volunteer in the evenings, is that any help? Absolutely. For example, we have a Youth Cafe that runs two evenings a week, and we run events regularly throughout the year that would require evening support. Contact info.dublin@ymca-ireland.net. I live abroad but want to come to Ireland to volunteer. Do you cater for overseas applicants? We are currently not taking applications for Erasmus+/European Voluntary Service (EVS). What benefits are there of volunteering? Our previous volunteers have expressed a number of benefits from volunteering. Not only did they get a change to give back to the local community, they met new people, developed new and old skills, and became part of a wider community. For more information about any of the above events, or to volunteer, please contact Rachel at rachel.kinlan@ymca-ireland.net or call 01-4782607.